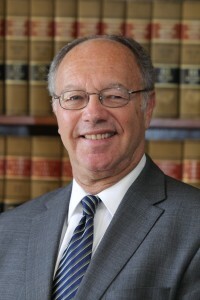 Steinbock, who has spent virtually his entire academic career at Toledo Law, seems to exemplify those virtues, having been voted Outstanding Professor by six spring graduating classes. His areas of expertise include evidence, administrative law, immigration law, trial practice and criminal procedure, a course he continues to teach every year. “I need and love that classroom experience,” he said. Immigration law – especially as it affects unaccompanied children – has remained a particular concern since his days with the International Rescue Committee working with Cambodian refugee children in Thailand. LAWDRAGON: What drew you to legal academia? DANIEL J. STEINBOCK: I like to research and write, and academia gave me a chance to choose my topics, many of which grew out of my practice experience. I had always enjoyed mentoring younger attorneys, though, and discovered that I really enjoyed the interaction with students both inside and outside the classroom. So, academia has turned out to be a great choice. LD: You spent years serving the marginalized and underserved.What brought you to Toledo? DJS: I actually entered academia twice. The first time was a year out of law school, after a clerkship with U.S. District Judge Constance Baker Motley, when I joined the faculty at SUNY Buffalo. I decided, though, that I wanted more practice experience, which led to three years at the Legal Aid Society in New York City, and then three years at Prisoners’ Legal Services of New York, first as founding associate director and then as executive director. After that, I spent a year as education coordinator with the International Rescue Committee working with Cambodian refugee children in Thailand. That stint evolved into a book project for the Ford Foundation and several United Nations agencies on unaccompanied children in war and as refugees. As that wound down, it seemed like a good time to return to academia, and I landed at The University of Toledo in 1985, where I have happily remained ever since. LD: What makes your institution distinct from other law schools? DJS: Toledo Law is distinguished by our personal attention and great value. We are a small school, and our students are known by, and know, their professors. This matters when it comes time for recommendations and job tips. We provide an excellent education at a very affordable price – effectively $17,900 for Ohio and Michigan residents who enter as students starting in fall 2014. And we are enhancing our academic program with our Pathway to Practice experiential education program that incorporates practical learning into all years of law school. This includes first-year students in simulation classes. Together, these features boil down to outstanding preparation for the bar exam and job market without exorbitant debt. LD: Can you characterize the student who is a good fit for your school? DJS: People who thrive here are those who do well in college. But I take pride in saying that some people who didn’t do well in college do well here. They discover themselves and their abilities as a result of the personal attention that’s so characteristic of us: You have to work very hard to not be known by your professors here. The real value added, then, is this personal attention, and I’ve noticed that the people who grow from it, who are nurtured by it the most, are the people who went to a big university like Michigan State, and sat in huge classrooms and lecture halls and took multiple-choice tests. Here they have people paying attention to them and to how and what they think. Sometimes we can identify these candidates by the numbers – not a particularly great GPA, for example, but a good LSAT score. Sometimes we look at the essay, see the potential and watch as they surprise themselves in that they get into our law school and they so clearly demonstrate that they have the brains and talent to become lawyers. DJS: One of the major challenges for those of us in legal education generally is to provide good value for people considering becoming lawyers. Enhancing the practice preparation we provide, and doing so at the lowest possible cost, is imperative, as is helping our graduates find satisfying employment opportunities. We have worked hard to create a Pathway to Practice here and to improve the value of an already highly affordable education. LD: How are you accomplishing this – helping grads find satisfying employment? DJS: Several ways. We bring in practitioners to discuss their careers and what it is they do. And by practitioners, I include those from fields not directly defined as law practice – compliance, consulting, human resources, for example, along with people who have followed other alternate career paths. We bring them in around 5 P.M. so that students from our evening program have access to them. This kind of exchange is incredibly valuable, because a number of our students come from families in which no one was a lawyer, no one was in this or any other profession. We have lots of students whose parents are unionized factory workers. The result is that they may have a narrow understanding of what it means to be a lawyer. That’s why it’s important for us to expose our students to the range of things that lawyers do – the contours of their jobs; where they work – in a firm, in a business, in an agency, courtroom or government office; what are the pay scales, the lifestyles, what makes these different practitioners feel fulfilled. We’re insisting on a real-life experience as well throughout their law school years. Starting with the class entering in the fall, we’re requiring an externship in a government agency or a nonprofit, or participation in a live-client clinic. All students must experience this hands-on, real-life work before they graduate. We also just launched a program in which someone from our career services office goes with me to the county bar associations. We talk to these people, especially to the solo practitioners and the two-to-three person firms. We remind them that at some point, they might want to turn over the practice to someone else; they might want to slow down or retire. We suggest that they start grooming one of our graduates now. LD: Do you have a mission or goal for your law school? DJS: My main goal is to give people a good education, particularly people who couldn’t afford to go elsewhere or couldn’t go elsewhere for other reasons; prepare them for practice, and do it at a reasonable cost. I love to talk about the education and the terrific scholars students will find here. We are the second smallest Ohio law school in terms of faculty but what they publish accounts for the third- or fourth-largest number of downloads in the state. And they’re terrific in the classroom. I went to Yale Law – obviously a number of years ago. Still, I can say without hesitating that we have better teachers here than I had then. That’s my mission and what I’m most proud of. Transfer students tell us that very thing. LD: When do you declare goal reached, mission accomplished? DJS: I don’t think I could ever sit back and say, “I’ve done it; there’s nothing left to do;” certainly not as what constitutes a quality legal education keeps evolving. At the same time, one good thing about being dean is that you get to travel and you see your graduates – graduates several or many years out. You get to see and hear how they’re doing. I’m gratified to find that many of our graduates are doing very well. That at least suggests that I’ve been accomplishing my goals; that everyone at this law school has been fulfilling our mission and accomplishing our collective goals. LD: Are you seeing trends in the types of jobs your students take? DJS: We are seeing more people finding jobs for which a J.D. degree is an advantage – or sometimes even a requirement – but for which bar admission is not necessarily a necessity, jobs in fields such as health-care compliance, banking, insurance. Most of our graduates, though, still enter law practice, and we are working to connect students with opportunities in some of the smaller cities and towns in the region, where, as I said before, more senior lawyers are looking to cut back or leave their practices. LD: You’re expert in immigration law and have worked in particular with unaccompanied immigrant children. Do you see a role for law students in the current crisis? Is your school undertaking any initiatives related to these youngsters? DJS: I see a potential role, but mostly among schools along the southern U.S. border. We don’t have an immigration clinic at our law school, but we do take some immigration cases. There are some people who turn up around here with asylum claims. There are immigration courts in Detroit, Cleveland and in Chicago, not far from us. And we do some work there. I will say that if we see a way in which our law school – faculty, administrators, students – can assist, we will. Would we consider starting an immigration clinic? We are looking to expand the number of clinics and legal services in which we involve students. But we need to be careful about it. We need to ensure that there will be a decent number of cases every year and that those cases are appropriate, that they contribute to the educational experiences of the students. There is going to be a summit at the law school regarding veterans law, for example: The Ohio Veterans Justice Summit, on Oct. 24. People from the law school, from the Veterans Administration and other veterans service agencies, from the local courts, local politicians – they’ll all be there to discuss the issues surrounding veterans, such as the need for “veterans courts,” which would have a special docket and be sensitive to such things as re-entry issues – reintegrating into society – with which some veterans struggle. DJS: Being dean is not a 9-to-5 job, but I enjoy reading and travel when I have a chance. Though I am a native New Yorker, I am now a big fan of Detroit sports teams.